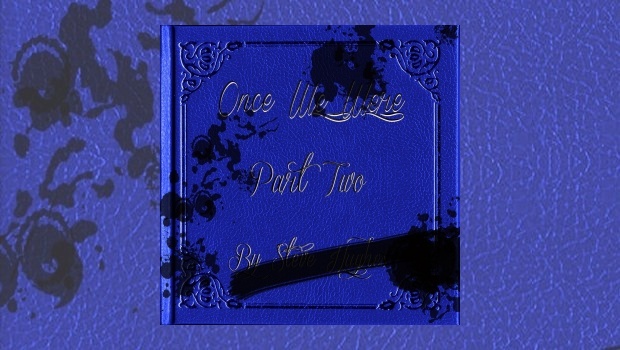 Once We Were (Part Two) is the third album released in two years by Steve Hughes since his impressive debut Tales from the Silent Ocean in 2015. This release is the sequel to last year’s imaginative Once We Were (Part One) and continues with the same ambition and general feel. It is also an album that increasingly displays that the former drummer for renowned Prog powerhouses Big Big Train and The Enid is much more than ‘just’ a drummer, as he shows an increasing versatility and skill as a multi-instrumentalist. Steve Hughes described the storyline that threads through Once We Were (Part One) as “the relationship and tragedy of two star-crossed lovers as they flip through different time lines and how their lives are affected by the decisions of misguided political leaders and romantic circumstance… war, love, loss, heartbreak and death.” These themes are continued in this ‘sequel’, Hughes adopting many of the now trademark styles and techniques developed on his first two albums. 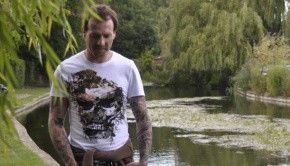 Hughes’ growing confidence in his vocals is shown as he takes all the leads, quite a progression from sharing the singing duties on his first solo album. His light voice is more suited to the shift towards more ’80s oriented sounds (although this is NOT a ‘pop album’) reminiscent of bands such as the aforementioned Tears for Fears or ABC. One of the best songs on the album, Life’s a Glitch, rides along on a percussive wave of drums underpinning keyboards and some nifty guitar work, and harking back to the best rock/pop bands of that era. The striking artwork of Jim Trainer, a connection to Steve Hughes’ musical past as he provided some of the artwork from his days with Big Big Train, illustrates the subjects and themes of the album. This is nowhere more pointed than for They Promise Everything which features a politician, looking suspiciously like Tony Blair, in front of an American flag with images of war. 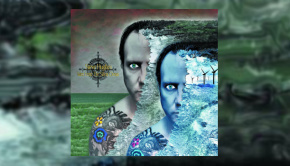 Hughes opens the song with some lovely delicate vocals before it erupts into a rocking and angry middle section, with a guitar solo from Dec Burke, and an impressive battery of percussion before the piece drifts away on a piano. There’s Still Hope best displays Hughes’ ambition and diversity as the song opens over a mechanical drone with a chanted litany of “Life… Friends… Love… Loneliness… Regret… Hope… Abandonment…” reminiscent of Radiohead’s computer-voiced song to materialism, Fitter Happier from O.K. Computer. However, this song is no Radiohead clone as it switches with synth-drenched punctuation into a driving rock rhythm overlaid with synth and vocoder, before moving again with a spasm into a lighter, more melancholically melodic passage which then reaches upwards with guitar and synth to its conclusion. The mainly instrumental Clouds is the sort of song which may divide opinion as it rolls along initially with a progressive sweep, before deviating into much jazzier extemporisations on keyboards and guitars, presumably evoking a formless float among clouds, before concluding with a return and intensification of the opening rock-inflected passage with Keith Winter on guitar, the sound of tinkling piano and stormy rain drifting away to close. 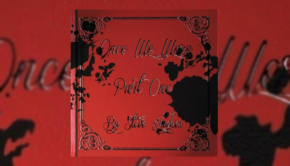 The path of love is never straightforward, and the same can be said of a Steve Hughes album. This is a musician determined to stretch himself and the listener with unexpected twists and mixtures of styles and instrumentation. He has developed his own distinctive sounds, drawing on but not aping his musical influences. It is perhaps inevitable for someone wanting to stretch themselves that he sometimes does not always hit the mark, for this listener at least, but listening to one of his albums is always interesting as one is not entirely sure where he is going next, even if some of it feels a little overwhelming at times. His playing and production is exemplary, taking the listener on an unpredictable and fascinating journey. I wonder where he will be going next?